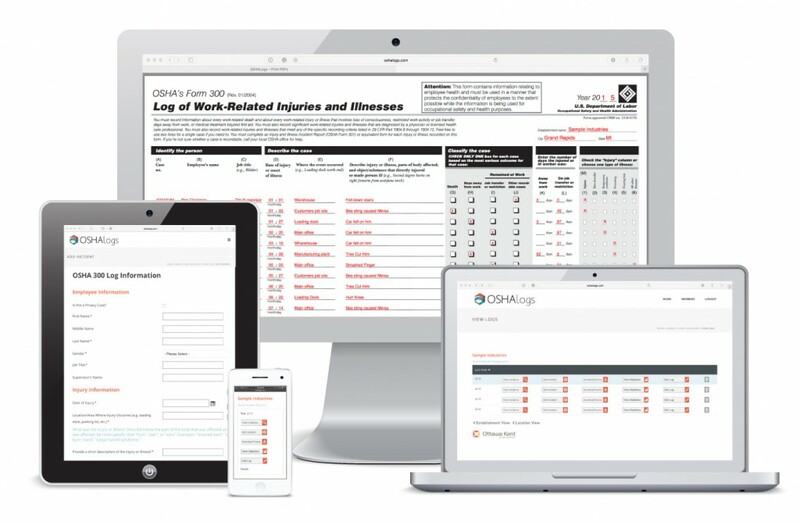 OSHAlogs.com Is A Secure, Web-Based Application that Enables Employers to Create Each State’s First Report of Injury, Track Injuries, Print All Required OSHA Reports, and View Injury Metrics in Real-Time. Automatically Generate PDF versions of Documents to print, share or email. Because the data comes from one datasource, you’ll eliminate mistakes between the forms. Have an injury? Fill out one simple online form on any Device in less than 4 minutes. No Dual, Triple or Quadruple Entry Needed. All Reports created, including your State’s first report of injury. Automatically generate benchmark figures with no additional input by location and log. The fact that I can store past year's data in the system is great. It helps my company analyze the cause of injuries, year over year, and then implement loss control strategies. No one can match the ease of use and design of OSHAlogs.com! Its great that I can just input the information once and be able to run all OSHA reports and my State's First Report of Injury. 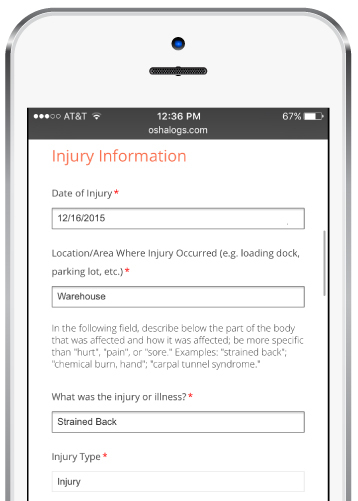 I highly recommend OSHAlogs to any person who does OSHA recordkeeping and work comp injury reports. It will make your job a breeze. OSHAlogs.com is an incredible time saver! Its great that I don't have to fill out all forms separately. One simple form does it all.